Located in the New England region of the United States, Rhode Island is the smallest state in the country with only being 37 miles wide and 48 miles in length. While it may be a small state and only have over 1 million residents, it is 2nd in density in the country with over 1000 residents per square mile. 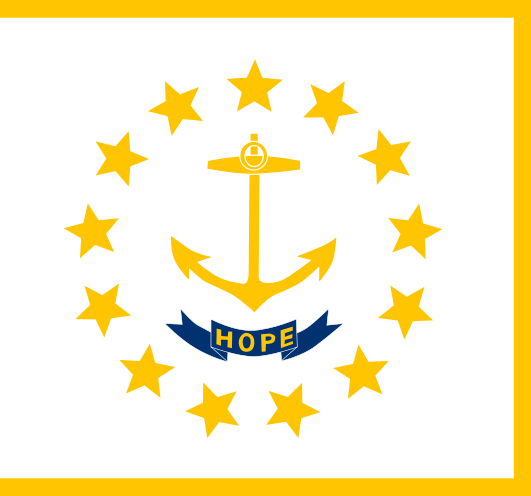 Rhode Island was inducted into the union as the 13th state in 1790, but was the first of the original 13 colonies to declare their independence from British rule. Also known as “The Ocean State”, Rhode Island has Massachusetts to the north and east, Connecticut to the west and water boundaries with Long Island, NY to the south. The capital of Rhode Island is Providence and is also the largest city in the state which is located in the eastern portion of the state. The scrap yards located in Rhode Island and the region around can be found on the iScrap App, along with prices. Scrap yards listed on the iScrap App have the option to list their current prices for scrap, but if they choose not to you can still find current prices. Users and customers can log onto the iScrap App and report current scrap prices for the materials they recently sold to the scrap yards in the Rhode Island region. Rhode Island is located on the Atlantic Ocean and it helps contribute to its water access for ports and their economy. Much of the work throughout the state includes healthcare, education, and manufacturing. Some large corporations are in the state like Hasbro, American Power Conversion, and Amica Mutual Insurance. Some products that are produced in Rhode Island are fabricated metals, electrical equipments, machinery, shipbuilding, and boatbuilding. These industries rely on the scrap metal recycling and processing throughout the state and from the Rhode Island scrap yards. Many materials like steel, iron, aluminum, copper, and stainless steel are relied on from the salvage yards and recyclers in the state. Most scrap yards throughout the state can be found in and around the Providence area. To find the right scrap yard you can search with your zip code on the iScrap App or you could check the map above for the yards in your area. Once you locate the best yard for you, you can see scrap prices, request containers for larger jobs, ask about auto parts for repairs, and request scrap car pickups. PREMIUM YARD Ocean State Metals, Inc.
Jack’s Salvage & Auto Parts, Inc.